#Vinopanion has been a wild ride these past 8+ years (so hard to believe!). Towards the end of last year, as life got exceedingly busy and I was unable to put my best efforts to my love of #wine writing and education, I pondered what step this blog would next take. I have always treated my wine life as a privilege and have felt grateful for every turn that it has taken. Each little or big step was only partially planned/hoped for…most things like paid wine consulting, wine judging, being flown around the world for media trips, all have been joyous surprises, though they didn’t come without hard work (on the side). I have missed my wine world these past ~4 months, but the introspection has been useful. I’ve come up with new plans, reapplied old ones and have concocted new post formats, such as this new one: Bits & Pieces will cover multiple topics in short, 1-2 paragraph bites. Prepare for more news in a more concise format. And so… ¡Vámonos mis Vinopanions! 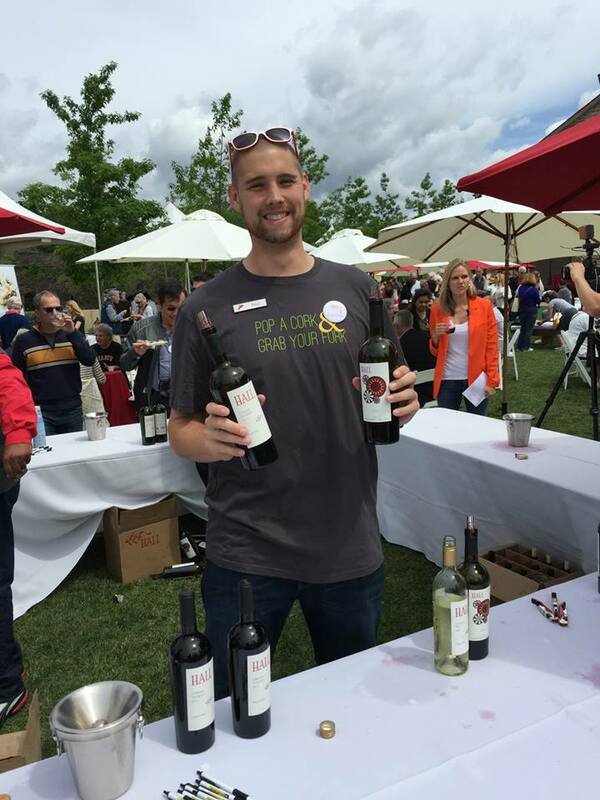 We’re a little late on our coverage of this fine event, but we did want to send out hearty Vinopanion props to Hall Wines (WL, FB, Tw, IG, YT) and their highly enjoyable 6th Annual Cabernet Cookoff charity #foodie and #wine event this past April. 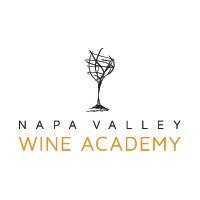 Fifteen Napa Valley and San Francisco based chef teams competed to see which one could most favorably pair their small bite with the 2012 Hall Napa Valley Cabernet Sauvigon and the 2012 Hall Napa County Coeur Cabernet Sauvignon red wines. To whet the almost 700 attendees’ palates, the festivities were kicked off with a glass of the delicious 2012 Hall Napa Valley Sauvignon Blanc. On this particularly hot April day, the SB was quite a treat, with its juicy citrus acidity, rounded out with some tropical fruit and floral notes, and finishing with some zingy minerality. Following the SB intro, the Lady and I headed into the array of tents to taste through the many culinary delights on prep. Over two weeks have passed since a significant earthquake hit Napa and the surrounding cities, at 3:20am Sunday morning 08/24/14. 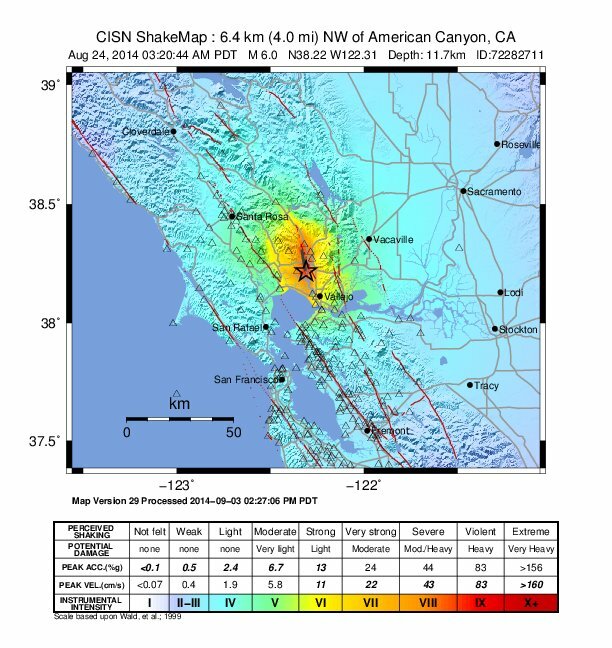 Named the South Napa earthquake by USGS, the 6.0 quake hit Napa particularly hard, despite what could be considered a quake of intermediate intensity. Due to the east-west nature of the quake movement, “river valley sediments,” and the fact that the rupture “propagated NNW” in direction, the bulk of the quake’s energy was sent “NNW towards Napa,” according to USGS scientists. All of these factors resulted in very significant damage that was almost entirely localized to the city of Napa, especially to its historic downtown and to the southwest neighborhood of Browns Valley, my childhood neighborhood and still where my parents reside (ShakeMap copyright USGS). The Lady and I live about 1 mile NE of Browns Valley, on aforementioned river valley sediment/silt, in fact. It is for these reasons that it can be hard for even other Bay Area residents to understand just how much this earthquake has affected our dear valley. Perhaps the most difficult aspect of this natural disaster is that has hit in the middle of an early harvest, so the Valley must recover while still going through its annual vinous renewal. Find all the tasty deets, after the jump! There are plenty of #wine fests these days, celebrating this region or that grape varietal, indeed the Napa Valley has plenty of its own festivals throughout the year. 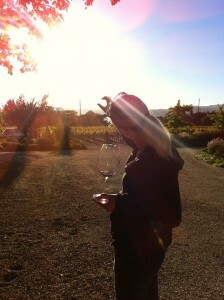 When you think of the Napa Valley in particular, what wine comes to mind….umm, yeah CABERNET SAUVIGNON. And then strangely, you realize that there is no festival that celebrates King Cab here in the Val. That is…until this year! The newly relaunched Napa Valley Performing Arts Center at Lincoln Theater (FB, Tw) hosted the very first wine festival devoted to Napa Valley Cab, #CabFestNV 2014, in March of this year. We were fortunate enough to attend all three days on a media pass and we were very impressed by the inaugural festival. More recap deets after the leap! 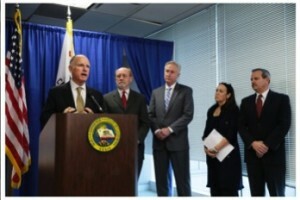 While not everyone pays attention to the crazy going-on’s on the Left Coast in California, you might have heard about the quickly accelerating and unprecedented drought that is beginning to devastate its traditional agricultural backbone. Contained within that agricultural spine are vineyards and winegrowing, of course. It is here that we get to the crux of why I felt it was so important to share the weather going-ons here in the NorCal: the weather, this third winter in a row, is beginning to severely impact our precious wine grape vineyards here in wine country. More news after the jump! You might have noticed that I have been a bit MIA the last couple of months. 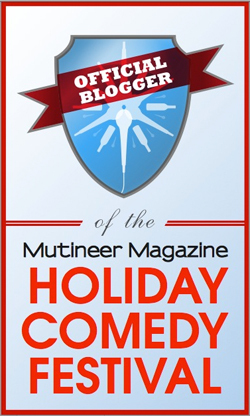 Now I realize that I said that I would be more devoted to my vino bloggie-blog this year and I was…but then life got in the way. I work a pretty busy day job, as many of you know, conducting applied research for cancer drug development at a large biotech. I do all of the wine stuff on the side, which includes ambassador positions, education, consulting, and other writing gigs. All of that adds up to a pretty fun and busy life, not to mention fantastic quality time with the Lady, of which and whom, I absolutely adore. 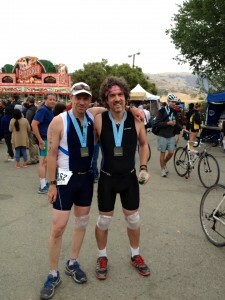 Recently my side-life got even busier (but healthier), by getting pulled into triathlons by my bro in-law. I competed in my first USAT sanctioned adult race earlier this year, throwing up a 03:45:02 time in what many people consider to be the most difficult Olympic length triathlon, at Wildflower 2013. Whew…that’s a lot of moving parts! But OK enough whining, let’s talk about other people with side gigs, namely, insanely talented winemakers that produce wine under their own, tiny production labels.